Interested In S’pore’s Digital And Tech Scene? Tech Fest Is Where You Should Be This Weekend! Avid readers of Vulcan Post would know that we cover digital lifestyle news, and we have quite a fair bit of content on Singapore’s digital scene here. Some of the brands we have covered include Facebook, popular taxi sharing app GrabTaxi, mobile marketplace Carousell which we just covered recently, and many more. Come 6th of September, representatives from the abovementioned companies along with a handful of other companies such as Razer, Google, PayPal, Microsoft, Garena and more will be gathering at Singapore’s first ever Tech Fest, organized by the IDA. Tan Min Liang, co-founder of Razer; Aaron Gill, Head of Product for GrabTaxi; Justin Halim, Head of Agencies for Facebook Southeast Asia; Lee Sing Jie, iOS development lead of Garena; Laurence Putra, software engineer of PayPal; and Lucas Ngoo, co-founder of Carousell are amongst the speakers who would be at the event sharing their experience. 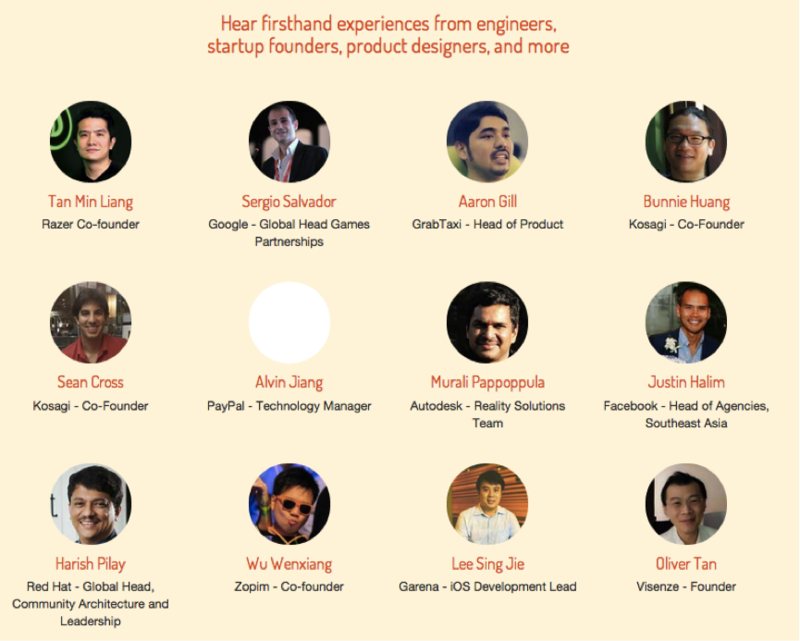 Targeted at students, graduates or anyone curious about digital lifestyle as well as the tech startup ecosystem in Singapore, attendees to this free event can listen to and learn from the experiences of these companies. According to the schedule of events, there seems to be an interesting line-up of talks, ranging from how life is just a game (by Tan Min-Liang of Razor), to why we should start young and start now in the digital lifestyle world (Wu Wenxiang of Zopim), to making startups as a career choice (Oliver Tan of Visenze ). The topics sound perfect for young people who wish to take the next step in the field of technology and want to know more information on how they should go about it, or why they should even consider this as a career option. So if you are interested to, as TechFest aptly said on their website, “discover all the cool things people are doing and find out how you can be a part of that”, then Tech Fest is definitely the place you have to be this Saturday. You know, things have changed, geeks and nerds are all the rage now. Best part, it’s a free event! You can register for the event here!